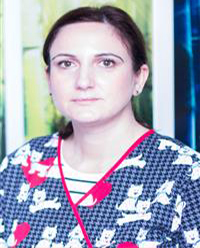 Dr. Andreea Solomon graduated the Faculty of Dental Medicine at University of Medicine and Pharmacy Carol Davila Bucharest in 1999. In 2003 she gained the title of specialist doctor in general dentistry and in 2011 she became specialist doctor in Orthodontics and Dental-Facial Orthopedics at the same University . She is a reputed specialist in Orthodontics, well presented and articulate, having excellent listening, communication and interpersonal skills.